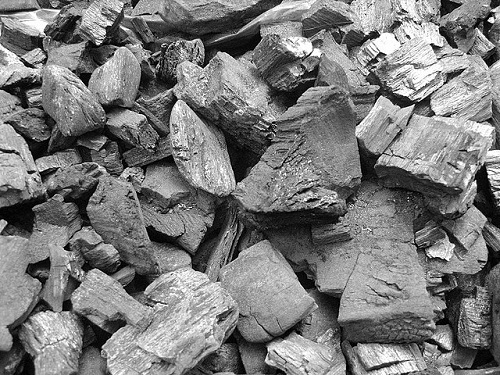 Charcoal and coal are two carbon compounds that are used to generate fuel. The two products are impure states of carbon, which means that they cannot exhibit all the specific properties of pure carbon. Due to the significant number of similarities between the two products, some people cannot exclusively highlight the differences between coal and charcoal. Coal is a fossil fuel that is formed after plant debris decay in a region contains water, especially swamps. All the plants collected in the marshy areas are buried after which they are degraded by microorganism for many years after which they convert to coal. Different examples of coal include anthracite, bituminous, sub-bituminous, and lignite among others. Charcoal is a solid product that is formed after plats are exposed to high temperatures and a limited supply of oxygen. This means that there is incomplete burning resulting in black-grey solid products that are used to generate heat. Different types of charcoal include lump charcoal, briquettes, Japanese charcoal, and extruded charcoal among others. The primary difference between coal and charcoal is that the two fossil product can attribute their occurrence to different methods. Coal occurs after living materials like plants and animals collect in a swampy region decay and degrade by decomposition of microorganism resulting in solid products, which can produce heat. On the other hand, charcoal occurs after plats, especially woods and plant trumps are exposed to heat and a limited supply of oxygen. It is, therefore, necessary to highlight that coal is naturally occurring while charcoal occurs because of human actions. Although both charcoal and coal can be used to produce heat, they are currently used differently due to the associated differences in heat production. Due to high heat production, coal is mainly used in industries where it is used to heat various systems among other functions. Additionally, coal is used to produce steam, which ends up providing electrical energy and power. On the other hand, charcoal produces moderate heat, which makes it be one of the best sources of energy for cooking meals, barbeques, and generating heat during cold seasons among other functions. The other difference between coal and charcoal is the amount of heat produced. Coal produces much heat than charcoal, which makes it be preferred for heating industrial systems and in steam generation for electricity production. On the other hand, the heat produced by charcoal is just enough to be used for domestic purposes. Large amounts of charcoal are required to create the same temperature as realized by coal. However, charcoal is favourite among people because it can hold heat for a longer period and guarantees consistency unlike coal, which cannot hold heat for long and does not ensure compatibility. 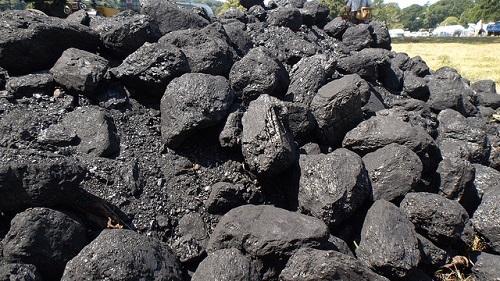 The other difference that exists between coal and charcoal is that coal is graded concerning quality and heat production while charcoal cannot be classified. This means that there different grades of coal available while there are no charcoal grades. One of the primary classes of coal is the anthracite coal is considered to be of high quality due to heat production and lasts for more extended periods. The lowest ranking coal grade named light coal does not burn too hot which means that it produces less amount of heat while at the same time burning for shorter periods. Both coal and charcoal prevail at different prices due to their differences in occurrence. Coal is costly because it is difficult to mine. In addition, coal is a non-renewable source of energy which means that once extracted; it cannot form again hence making it an expensive fossil. Moreover, the fact that it is used in industries to heat systems and to produce steam for electricity generation significantly contributes to its high costs. Charcoal is affordable because it is easily generated. People in forested areas can purchase charcoal cheaply though its prices are likely to be determined by forces of demand and supply. Coal and charcoal have different impacts on the environment. Coalmines are left open which poses risks to both human beings and animals. In addition, people are usually displaced before the start of mining, which significantly disturbs the social order among communities and families. Moreover, coal usually burns incompletely hence leaving a residue, which has significant adverse effects on the environment. On the other hand, charcoal results from cutting of trees, which leads to deforestation and ultimately deforestation. Furthermore, cutting of trees destroys animal habitat leading human-wildlife conflict, especially in Africa and Asia. Lastly, cutting of trees leads to soil erosion and washing away of soil nutrients leading to low agricultural production. Despite the similarities between coal and charcoal, this article has demonstrated a significant number of differences, which ranges from occurrence to environmental impacts. It is essential that individuals should be aware of these differences so that they can have a better choice of what they want to use concerning their needs. Lastly, the use of both coal and charcoal as a source of energy is currently under scrutiny by the environmentalists due to its contributions to the climate change and its impacts. Jecinta Morgan. "Difference Between Coal and Charcoal." DifferenceBetween.net. December 5, 2018 < http://www.differencebetween.net/miscellaneous/geography-miscellaneous/difference-between-coal-and-charcoal/ >. Chidumayo, Emmanuel N., and Davison J. Gumbo. "The environmental impacts of charcoal production in tropical ecosystems of the world: a synthesis." Energy for Sustainable Development 17.2 (2013): 86-94. Karacan, C. Özgen, et al. "Coal mine methane: a review of capture and utilization practices with benefits to mining safety and to greenhouse gas reduction." International Journal of Coal Geology 86.2 (2011): 121-156. Tiwary, R. K. "Environmental impact of coal mining on water regime and its management." Water, Air, and Soil Pollution132.1-2 (2001): 185-199.